Dell choosing between Windows Mobile and Android for its phone — is there really a choice? It seems that the number of computer makers entering the smartphone market is growing daily now. Just one day after it was revealed that Acer would unveil a smartphone at next month’s Mobile World Conference, Dell is apparently thinking about doing the same thing. At the very least, it has been working on its phone for about a year now, and has some prototypes, sources tell The Wall Street Journal. Dell’s situation is fairly interesting. As the number one computer maker in the U.S. and number two in the world, Dell clearly has manufacturing capabilities. After seeing the success Apple has had with the iPhone, and after watching its own market share (and stock price) slip in the past few years, the mobile market presents an area of growth for Dell, as it does for other computer makers. But Dell isn’t interested in building the entire phone itself, according to WSJ, instead, it would build the hardware, but would rely on another party for the software. And this is where things get even more interesting: Apparently the two mobile operating systems Dell is considering are Microsoft’s Windows Mobile and Google’s Android. As if those two needed anything else to fuel their rivalry. I can’t for the life of me think of a reason why Dell would go with Windows Mobile over Android, unless Microsoft has shown Dell some killer new features it is working on for Windows Mobile 6.5 — also rumored to be unveiled at MWC — or Windows Mobile 7, which has been delayed. From the leaked information and screenshots, Windows Mobile 6.5 looks a bit better, but is most likely still a dog when compared to a fresh, new platform like Google’s Android. And of course, there is always the possibility that it won’t release a mobile product at all. Dell has a history of prototyping devices and then canning them. It did it just last year with a music player it had been testing, as WSJ points out. That was probably a smart move, the stand-alone music player market will soon start to shrink as those capabilities are wrapped into phones and other devices. That’s one reason why I think it’s silly that Microsoft insists on pushing forward with the Zune device even as sales plummet and revenues get cut in half. The mobile market is the hardware market to be in. As for what such a device by Dell would be called, Silicon Alley Insider got a tip saying that it would be called the “MePhone.” I think that has to be a joke. 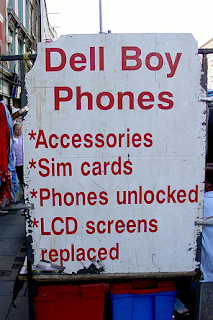 That would be hands down the dumbest name I’ve ever heard of for a device and such a poor rip on the “iPhone” name that Dell would just be ridiculed unless its device was much better than Apple’s — a tall order. Also, seeing as Dell has played well in the business sector with its computers, for any phone they make, they might be wiser to go after more professional customers, those that currently use RIM’s BlackBerry. Perhaps that’s another reason why they’re thinking of using Windows Mobile — the obvious tie-in with Microsoft’s other products which many businesses use. SAI also heard that the device would focus on “customization,” whatever that means, and that it would be available on September 9 — 9/9/09 — cute. 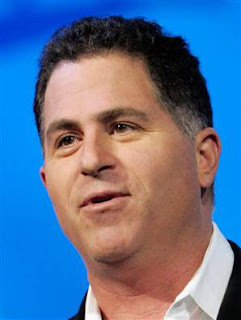 The WSJ notes that Dell chief executive Michael Dell has been eyeing the mobile space since he returned to lead the company in 2007. Since that time, he’s hired a few key Motorola execs with plenty of mobile experience. I’ll go ahead and pass on making the obvious, “Dude, you’re getting a Dell” joke here — but if they can make a solid phone, you just might be.